Forget about round wreaths and try something a bit more unconventional this Christmas, like a square wreath made of spray-painted twigs tied together with cord in the corners. 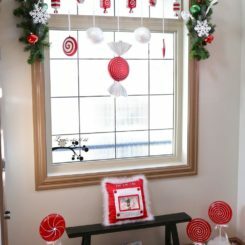 Hang a few ornaments as well as the wreath doesn’t look like a clumsy picture frame. 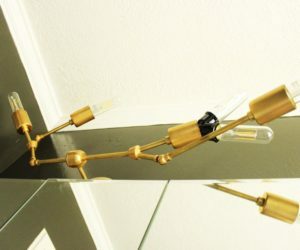 Find out more about this on DIYs. 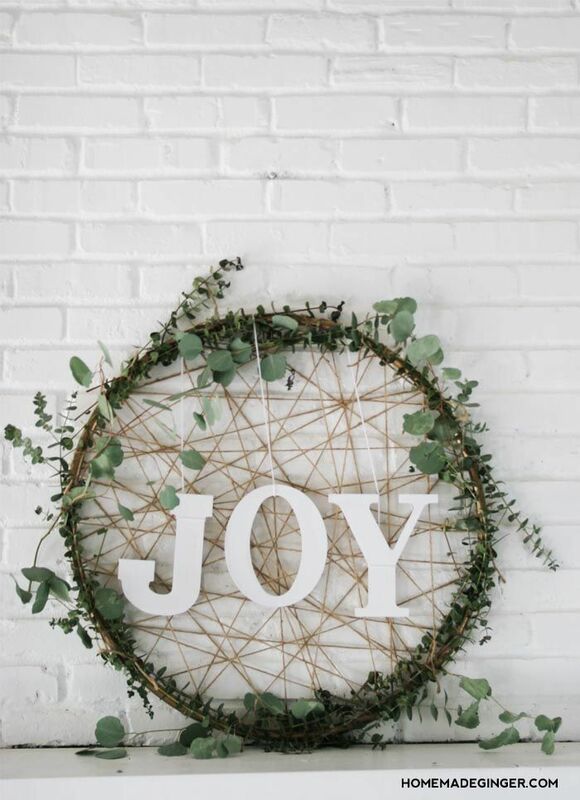 The JOY wreaths are already pretty popular so the idea may not be that original after all but it’s still interesting enough to stand out. 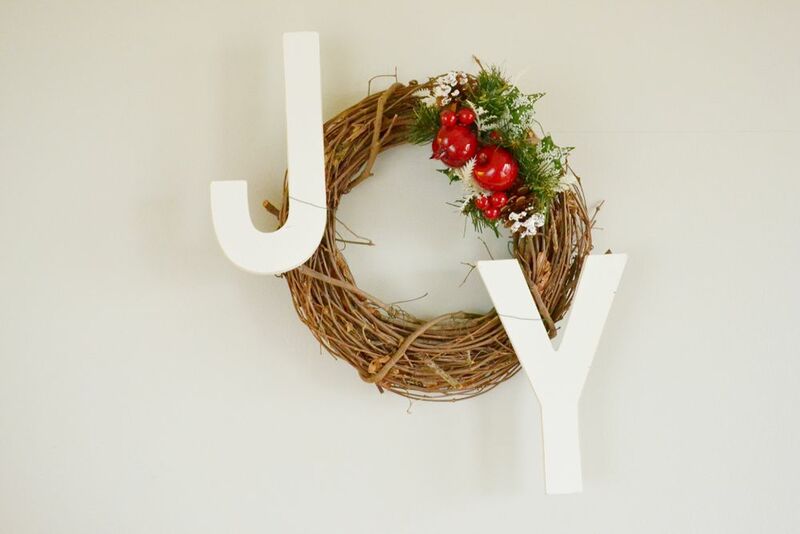 We love the contrast between the white letters and the simple grapevine wreath. 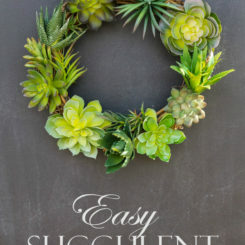 If you’d like to find out about this wreath, head over to DIYs. 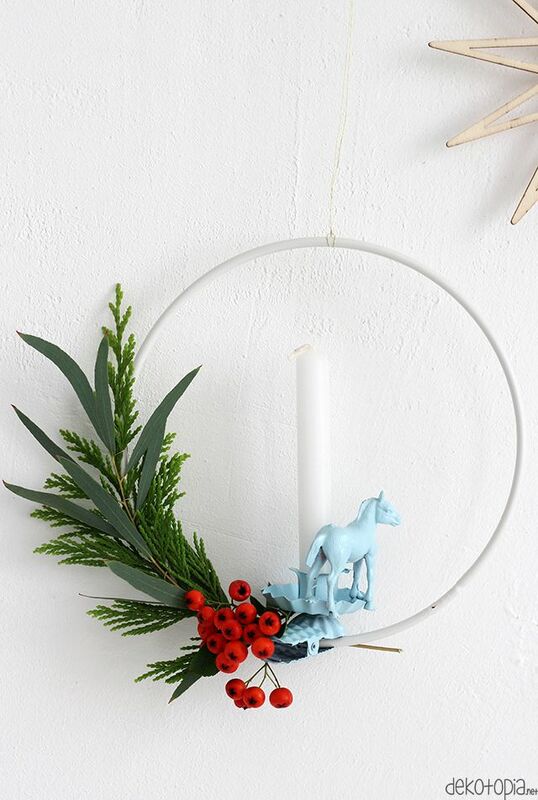 Simple and delicate Christmas wreaths are pretty trendy right now too. 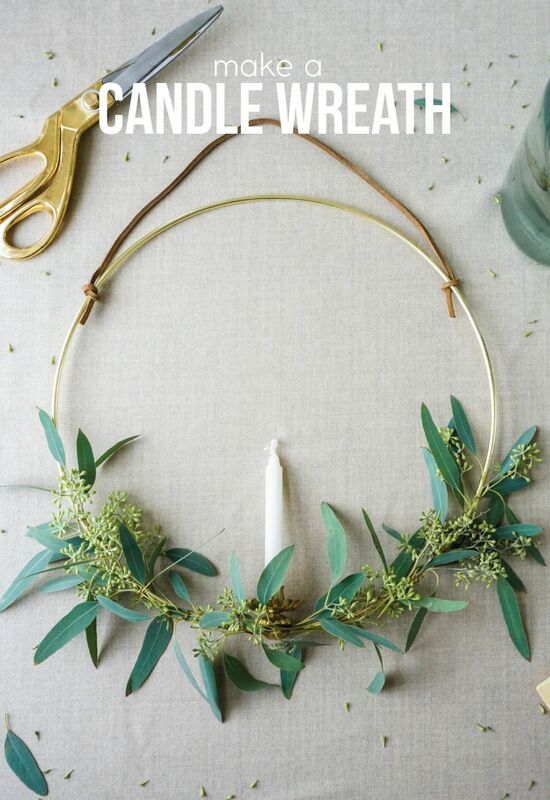 A particularly stylish idea is to make a eucalyptus candle wreath. 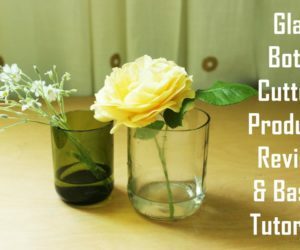 You can use a brass ring, a clip-on candle holder and some fresh eucalyptus branches which you can tie to the ring using floral wire. 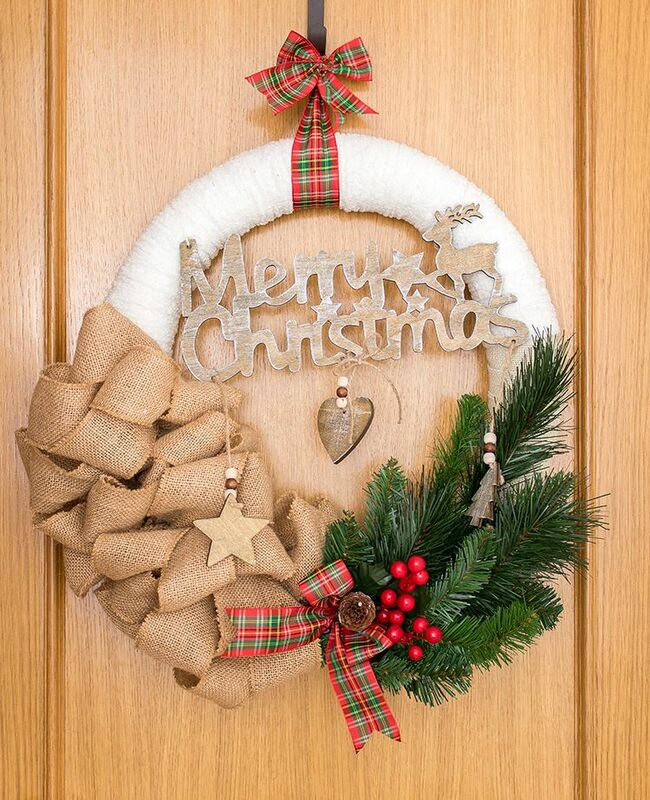 An embroidery hoop Christmas wreath can look lovely and original as well. 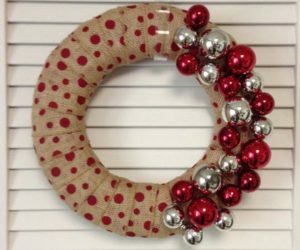 You can use some leftover fabric with a pattern or a color that you really like and then decorate the wreath with a cute ribbon and maybe a few seasonal embellishments as well. Check out momenvy for more details on how to make this. 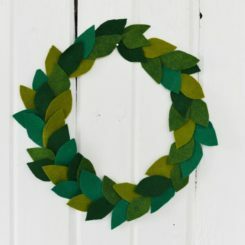 You can also make an embroidery hoop wreath without using fabric. 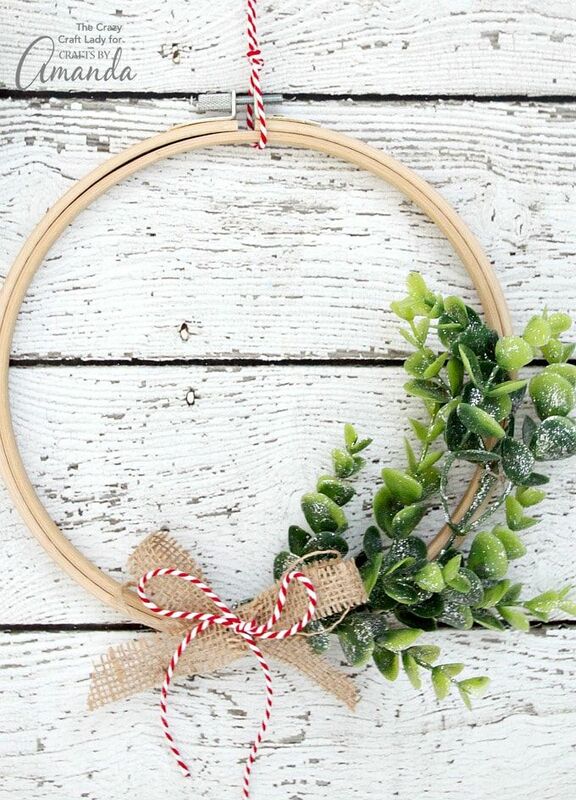 Just decorate the hoop with a cute ribbon and some greenery and hang it with a piece of cord. It’s simple, lightweight, chic and modern. 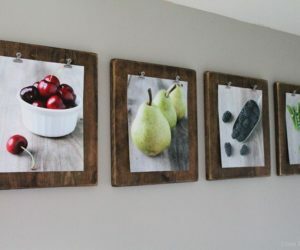 Find more similar ideas on craftsbyamanda. Sooner or later we all end up with a bunch of extra Christmas ornaments which we longer use or need. 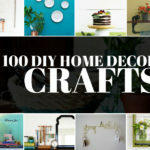 You can use yours in a creative way and make a colorful ornament wreath like the one featured on thecraftedlife. Its a simple craft with plenty of customization options. 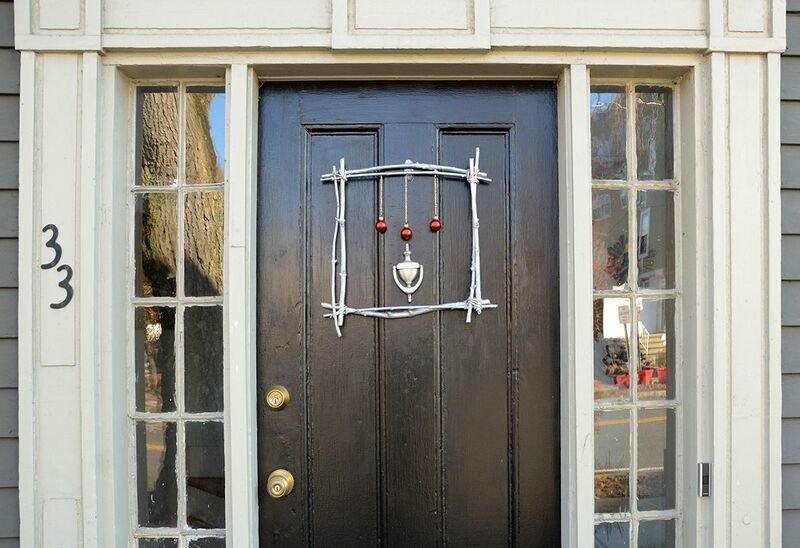 A wire wreath can be customized in all sorts of ingenious ways as well. For instance, attach a funky clip-on candle holder and that can be the centerpiece of your Christmas wreath design. You can make a custom candle holder yourself by gluing toy animals and spray-painting the whole thing. find out more details on dekotopia. 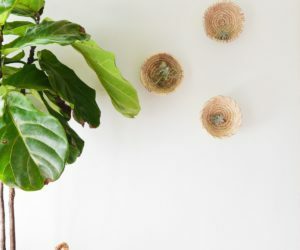 Natural wreaths decorated with greenery are probably the most common ones but that doesn’t mean you can’t make yours look special. You just have to make it suit your style. 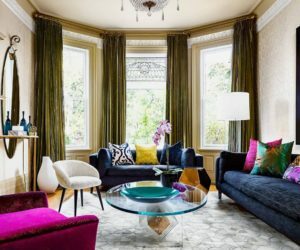 If you want something simple, chic and modern check out craftberrybush for a few inspiring ideas, including the design you see here. 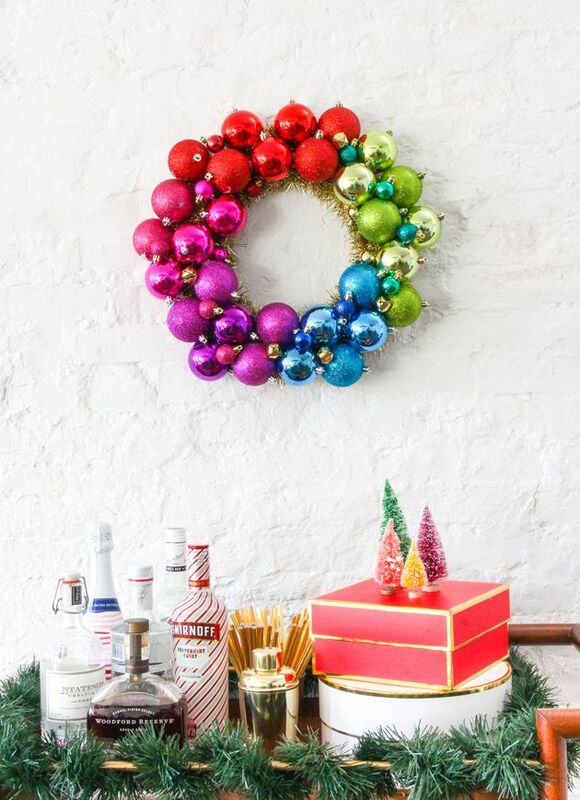 Asymmetrical wreaths are pretty fun and interesting so maybe this can be your strategy. You could decorate half with greenery and half with monogrammed wood slices. 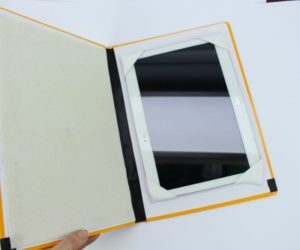 The frame can be a simple embroidery hoop. 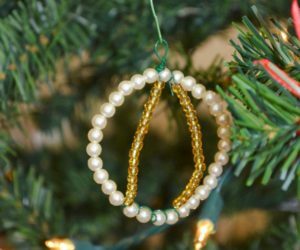 Check out this Noel wreath featured on lydioutloud and follow the instructions to make something just as lovely. Foam wreath forms have a lot of potential too. If you want to you can even make your own out of a pool noddle. 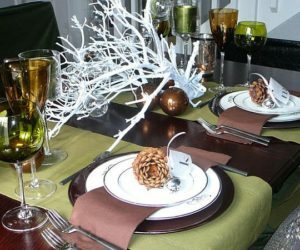 Decorate it with ribbon, fabric and various festive ornaments such as Christmas tree clippings, berries, bows, etc. 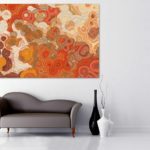 If you like this particular design you can find out all about it on thecraftingnook. 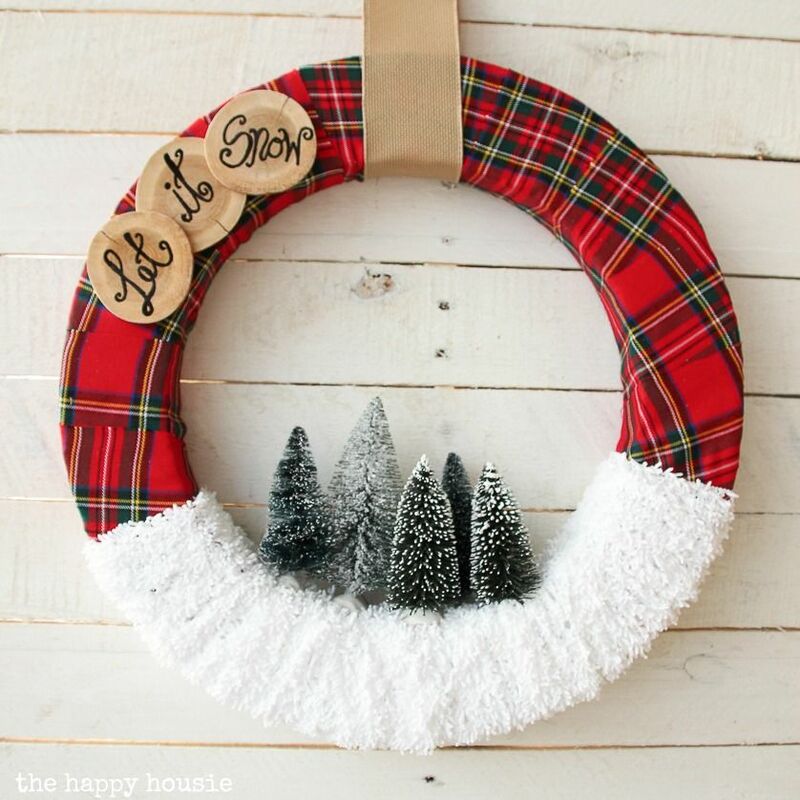 If you’re in the mood for a retro-looking Christmas wreath perhaps you’d like a cute winter wonderland theme. 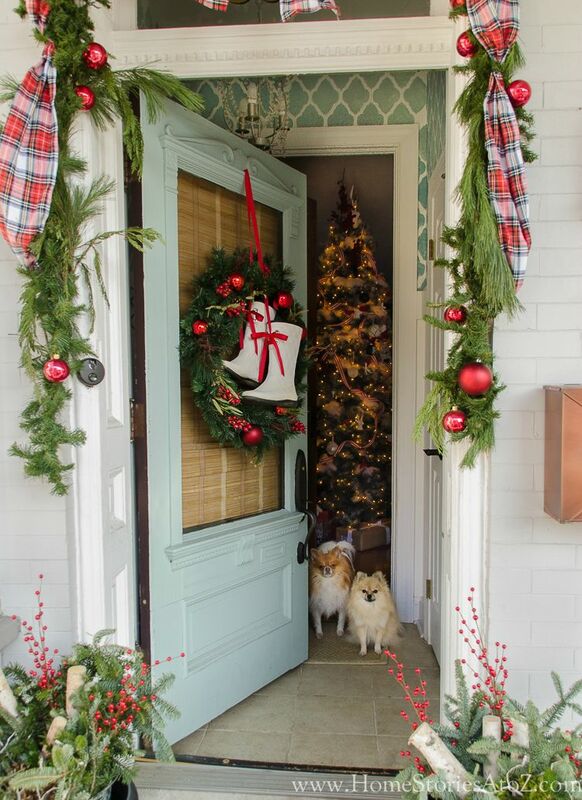 you could decorate your wreath with pom-poms, bottlebrush trees and other tiny ornaments and a mini garland. 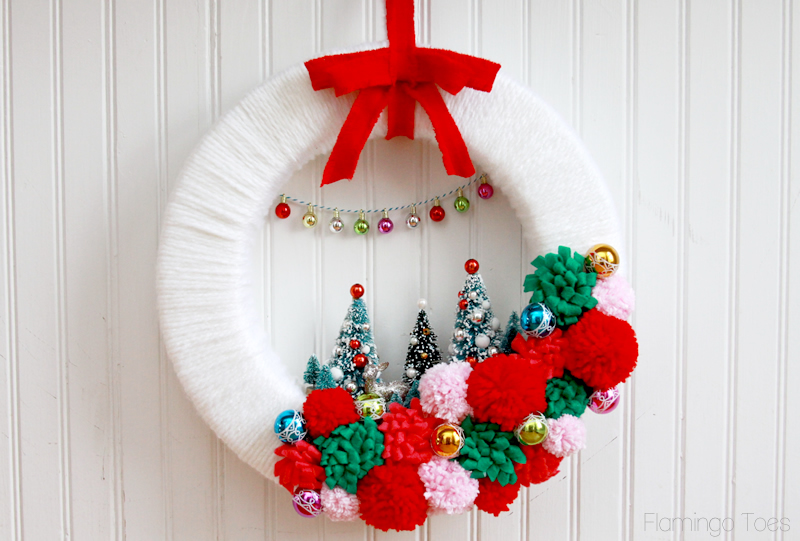 Right now we’re actually describing this adorable wreath that we found on flamingotoes. Check it out and let it inspire you. 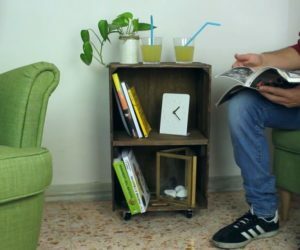 A creative mind finds ways to repurpose pretty much anything. For instance, we found this wreath made out of cookie cutters. Isn’t it original? If you want to make your own wreath, you’ll need a bunch of star-shaped cookie cutters in various sizes, a hot glue gun and some ribbon. If you need more details, check out inspiredbycharm for a full tutorial. 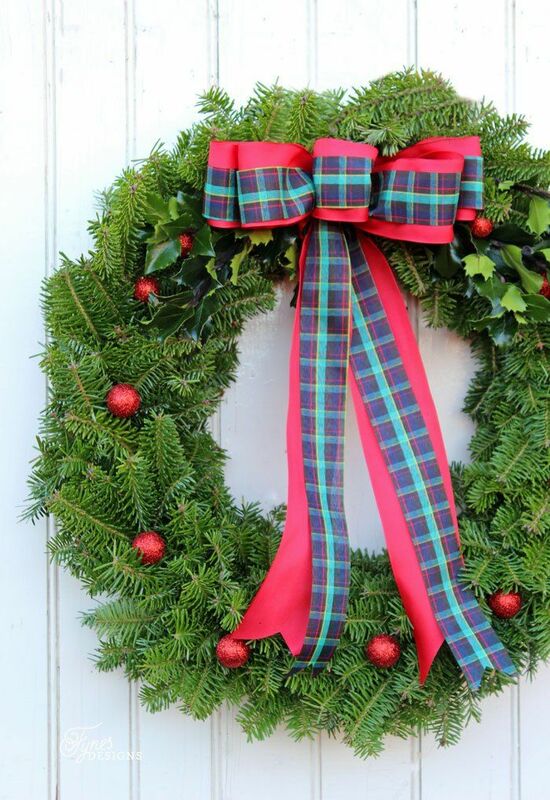 Wreaths decorated with fresh cut greens are particularly charming because they capture the scent of Christmas. They’re also fairly easy to make. 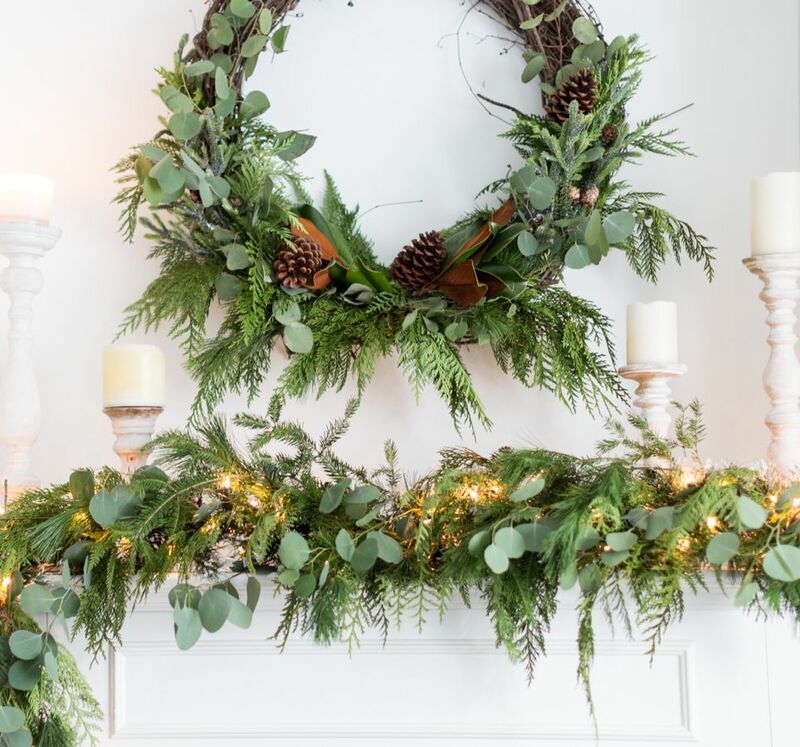 You can start with a metal frame which you can wrap in moss (secure the moss with floral wire) and after that you can attach the branches on one half of the wreath and then on the other. Add a few pinecone ornaments at the top and you’re done. More details can be found on cleanandscentsible. 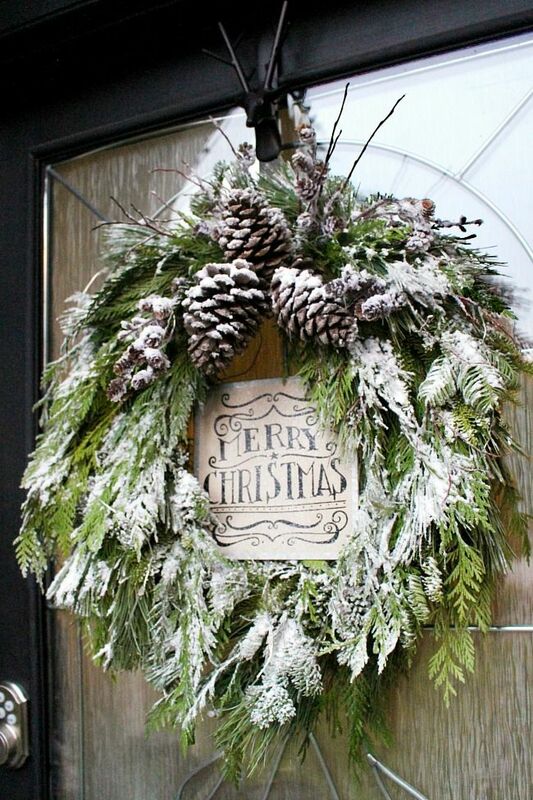 You’re not necessarily limited to using pine tree branches or other conifer greens when making your Christmas wreath. You can use all sorts of branches and leaves. 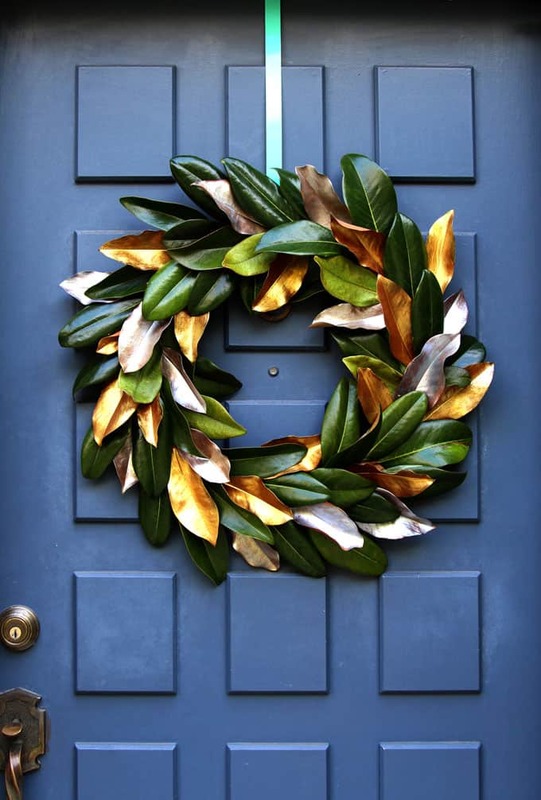 For example, this magnolia wreath from apieceofrainbow is plenty beautiful. Those metallic painted leaves give it a particularly eye-catching look. 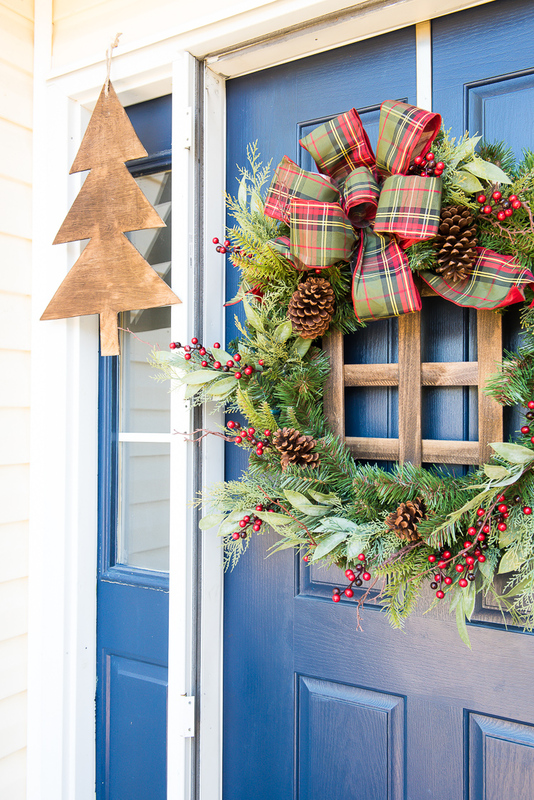 Let your wreath tell a story and this way you’ll be able to customize it in a way that suits your style. 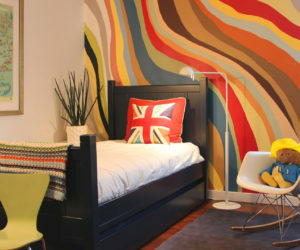 For example, have a look at this design from thehappyhousie. 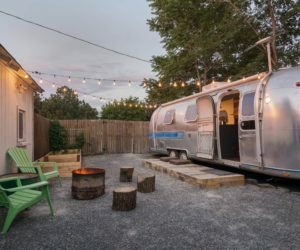 It’s simple and yet it’s full of character. This wreath was made using only a few supplies including a foam form, plaid fabric, white yarn, wood slices and bottle brush trees. 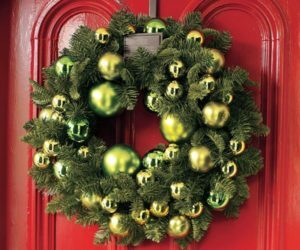 Another way to make your Christmas wreath stand out is if you make it unusually large. The idea comes from homemadeginger. 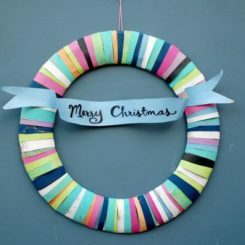 That’s where we first say this giant and at the same time very pretty wreath which uses a hula hoop as a frame. 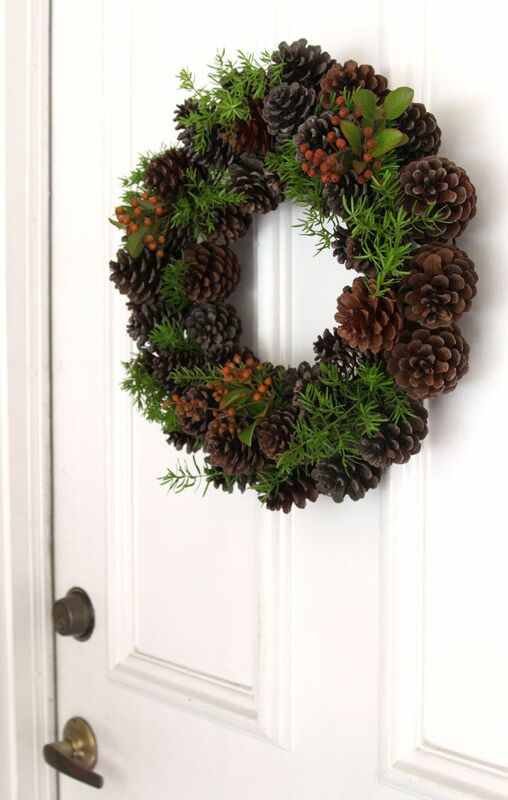 Pinecones are a great seasonal resource which you can use when crafting a custom Christmas wreath. 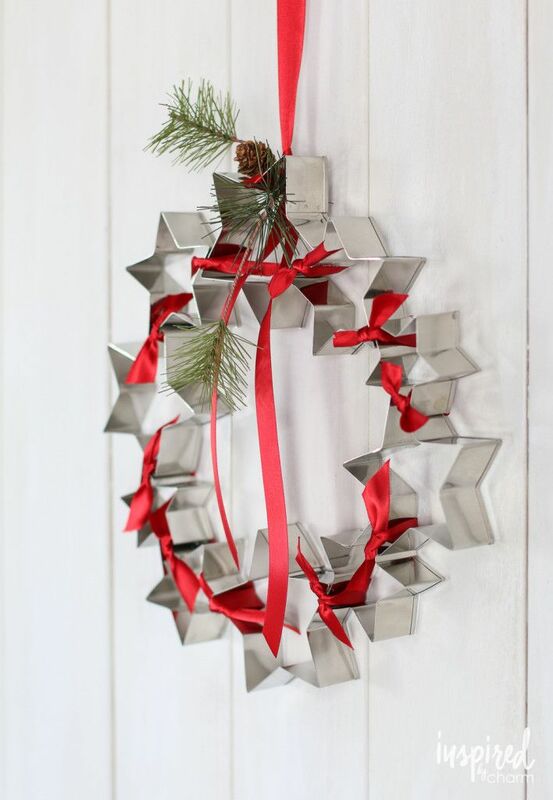 You can start with a metal frame and glue pinecones in three layers. Then you can fill the gaps with greens, berries and maybe even wrap some battery-operated fairy lights around the wreath as well. 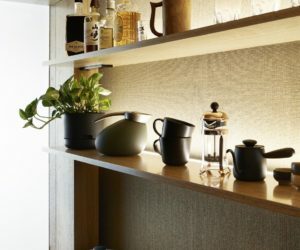 Find more details and ideas like this on on remodelaholic. 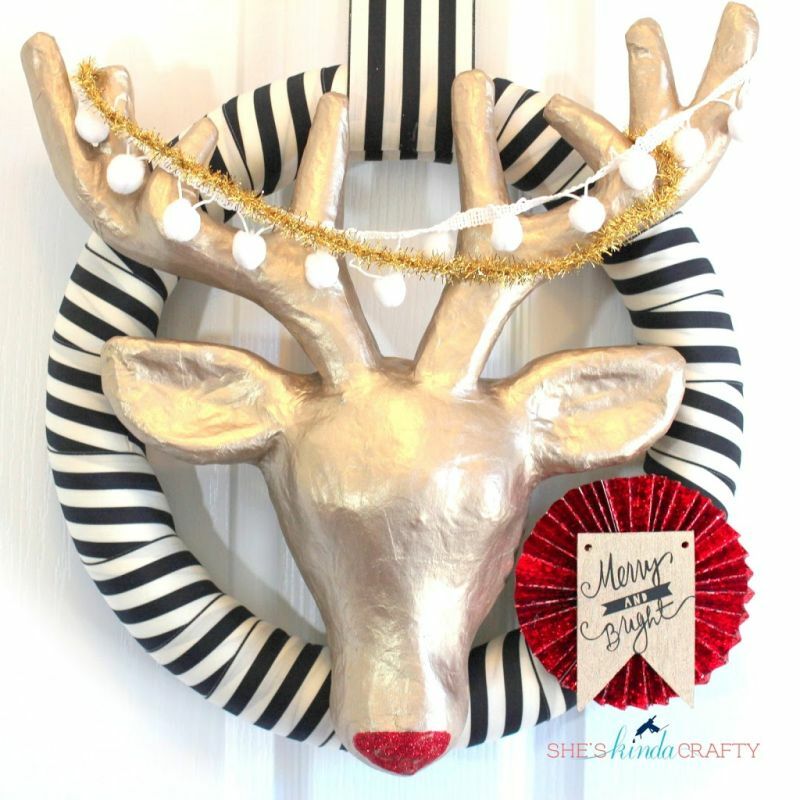 If you can somehow find a paper mache reindeer somewhere that can be the centerpiece of your DIY Christmas wreath. 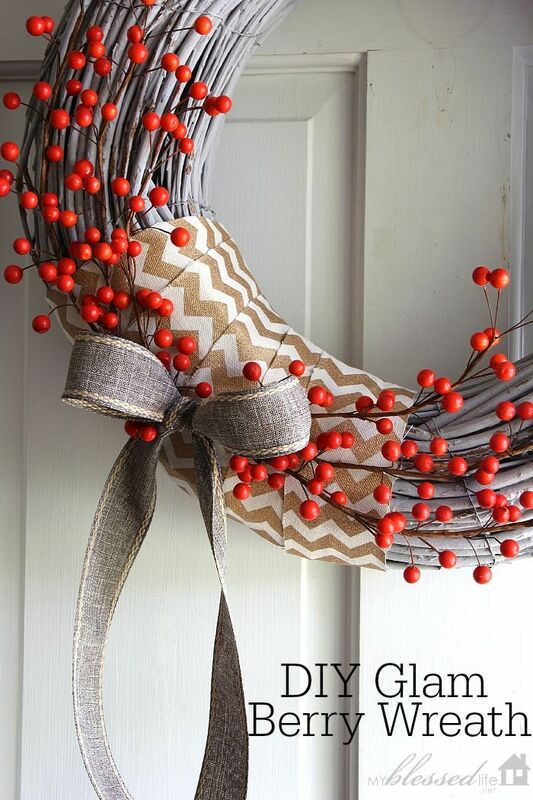 You could use it to make a Rudolph wreath such as the one featured on sheskindacrafty. Feel free to customize yours in any way you want. 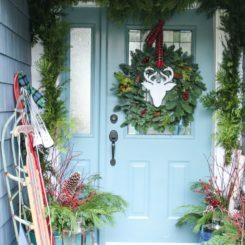 Some Christmas wreaths are so simple anyone could successfully complete the task of decorating and customizing them, especially when the supplies needed are so accessible and simple. This berry wreath from myblessedlife is a perfect example. You know those foil gift box-shaped Christmas ornaments? They’re pretty cute and they’re not just for trees. 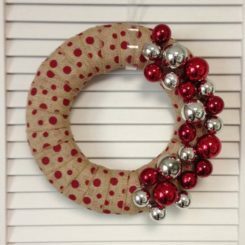 You can use a bunch of them to make a gift box wreath such as the one featured on consumercrafts. 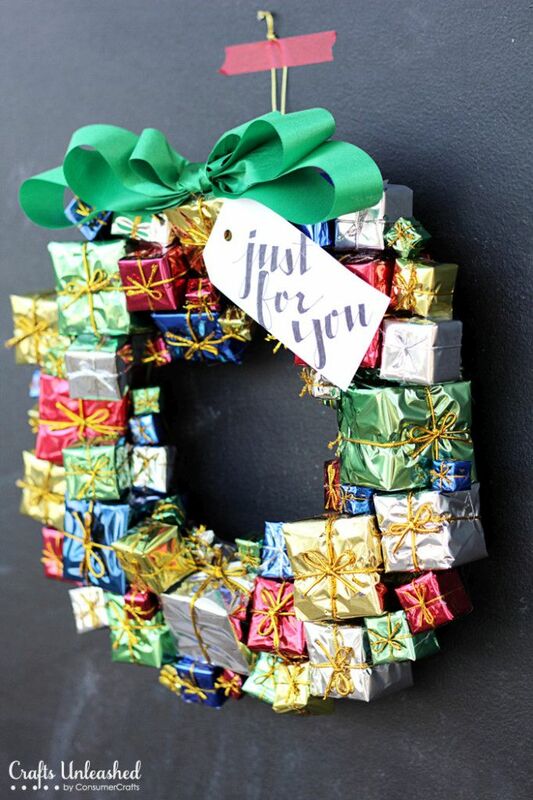 Use different colors and sizes and glue the boxes to a wire wreath form. We should also consider the possibility that a traditional Christmas wreath can look cool and interesting as well. In fact, the design can actually be refreshing seeing how everyone these days is trying to stay away from anything old-school. 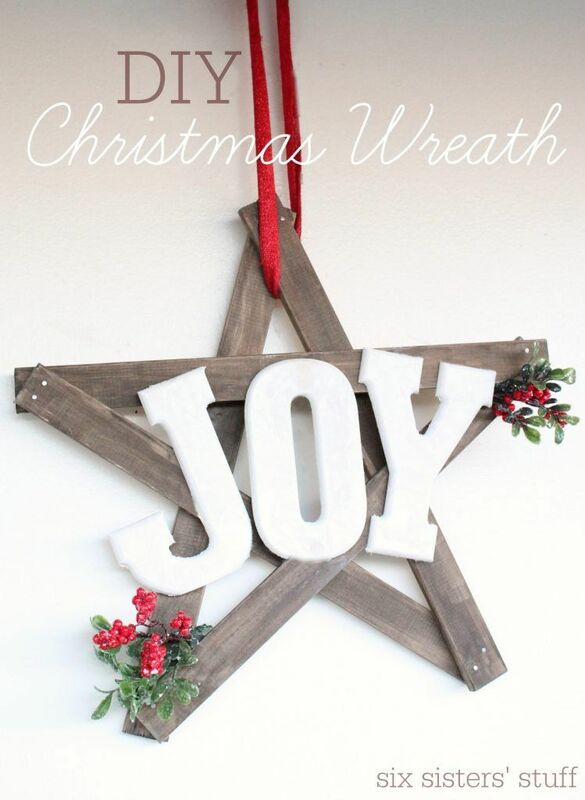 That being said, we recommend checking out fynesdesigns for some awesome, classic Christmas wreath ideas. 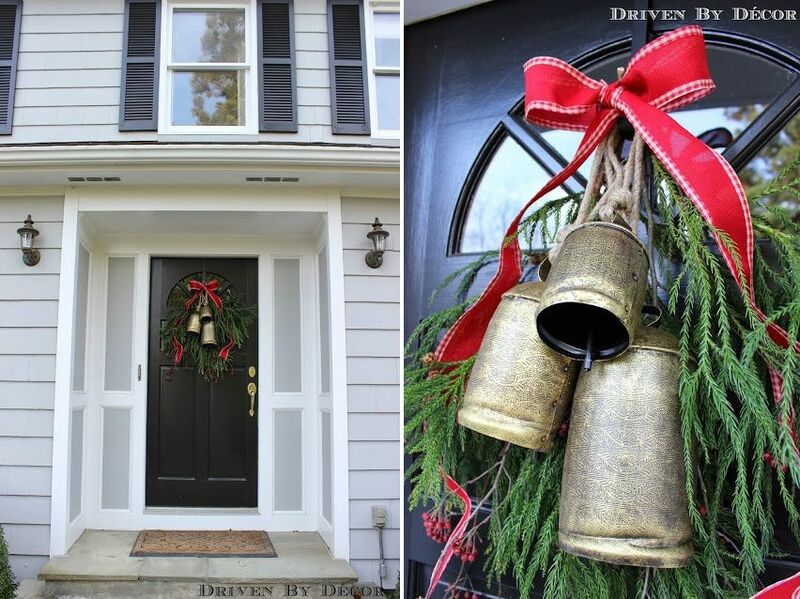 If you’re planning to hang a Christmas wreath on your front door, here’s a fun idea from drivenbydecor: hang some bells as well. Your guests can ring them and it can be a playful and fun little detail that everyone will enjoy. 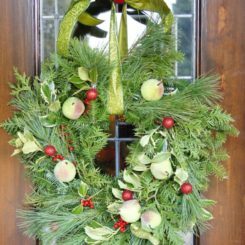 You can think of all sorts of seasonal things to use as ornaments for your wreath, not just pinecones, berries and bells. How about these boots from homestoriesatoz. They definitely give the wreath a distinctively original look. 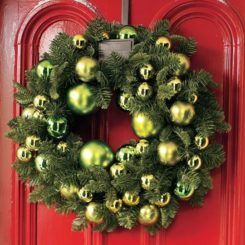 The simplest thing you can do is to buy a basic Christmas wreath made of seasonal green branches and to customize it with a few hand-picked ornaments. 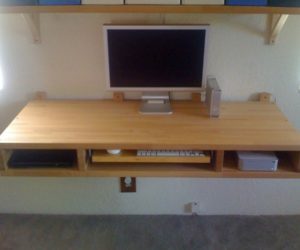 you could use stuff from your own backyard or you could improvise something using leftover supplies from other projects. In any case, it shouldn’t be difficult to make something pretty. if you need inspiration you can have a look at the ideas from placefofmytaste. 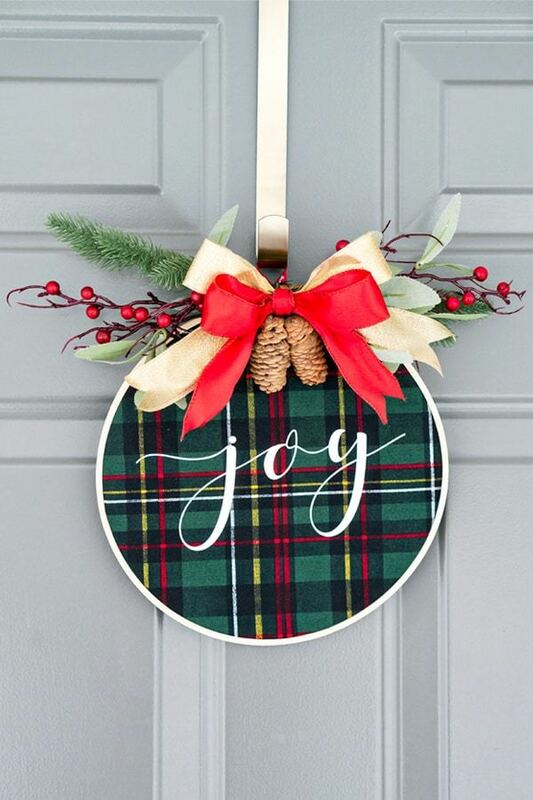 Let’s end this article on a cheerful note with another JOY wreath, this time from sixsistersstuff. It’s quite special and unusual because it’s shaped like a star. 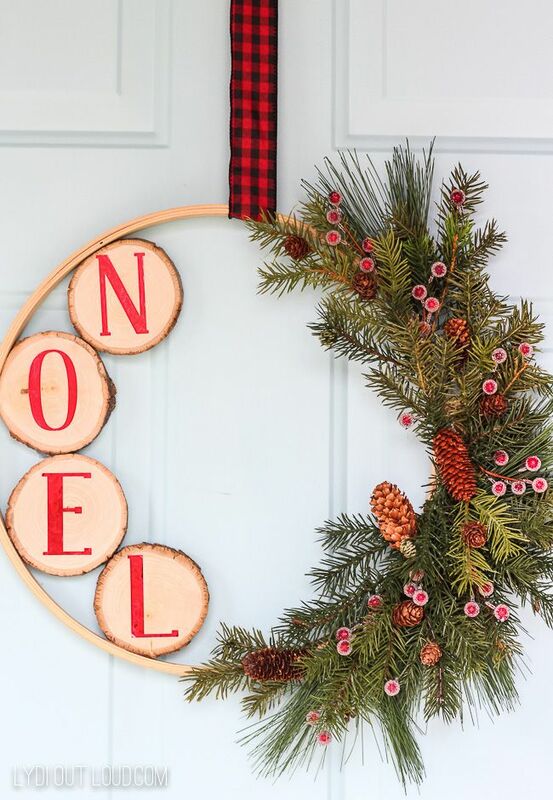 If you want to make a Christmas wreath just like it you’ll need the following: five 15”long wood pieces, wood stain (you can also use spray paint if you prefer a certain color), 10 small nails, letters (you can spray paint these as well), ribbon and a few small embellishments.